| Are You Turning 65 Soon? Annual Trustee Elections … Your Vote Counts! Home > Retired Members > Are You Turning 65 Soon? Medical insurance changes on your 65th birthday. As of the first day of the month that you reach your 65th birthday, you will no longer be eligible for the Kentucky Employees’ Health Plan. You must obtain Medicare Part A and B and submit a completed TRS Medicare Eligible Health Plan (MEHP) Enrollment Form to have medical and prescription coverage through TRS. Contact Social Security to enroll in Medicare approximately three months before your birth month. Your demographic information at Social Security must match what you have on file at TRS, including your name, birthdate and address, or your enrollment could be jeopardized. Since Medicare will not accept a post office box address, you must supply TRS with a residential address as well. If your birthday is the first day of the month, your Medicare will become effective the month prior, and you can enroll in the MEHP one month early by completing both the MEHP and KEHP enrollment forms that you will receive from TRS. Click here for the TRS MEHP informational page. 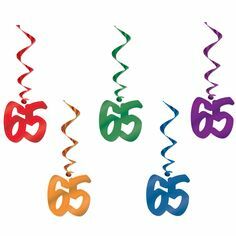 Click here to register for TRS’s seminar on turning 65. Click the image below to watch a video of the Turning 65 presentation (a link to the slides used is below the video).